The first episode of the as yet named podcast where we watch terrible movies on netflix streaming and record a commentary track for anyone who is foolish enough to listen to the humor. 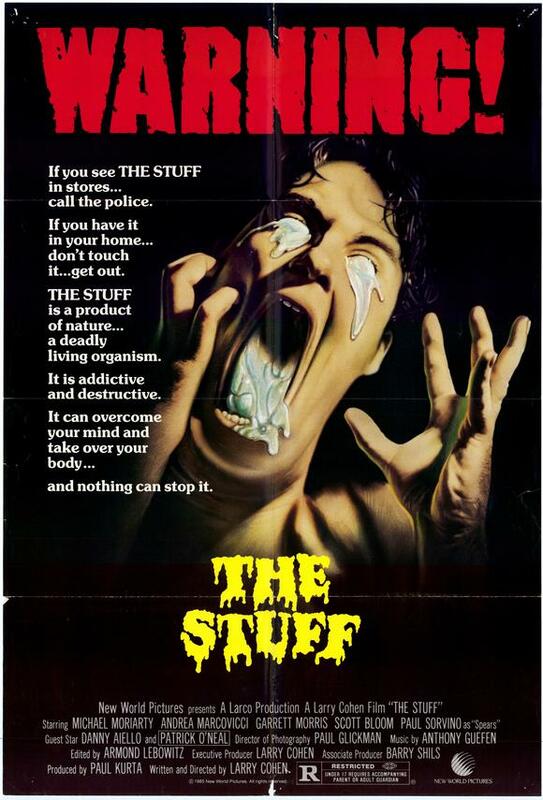 This week we watched “The Stuff” a movie so horrible that it at the end it doesn’t even try to hide the fact that it is racist. Add to that the bad guy in the movie literally being a plastic container of Marshmallow Fluff and you kind of have something that most people would normally walk away from if they saw in a store or heard recommended. We man up and sit through it so you can feel like you aren’t just drinking with alone to get through it.